Purchasing or investing in a real estate can be one of the most important and once-in-a-lifetime decision of your life. Thus, it is essential to ensure the safety of the house or office that you have purchased with hard earned money. If you want to skip the intricate procedure of seelecting or applying for a property insurance policy, then feel free to contact us anytime. At Vaishnav Properties And Finance, we are engaged in rendering dependable property insurance services to the clients across Kota (Rajasthan, India). 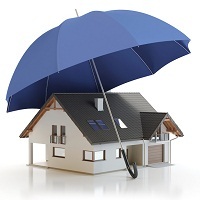 Our associates assist the clients in choosing the most appropriate insurance policy amongst several available options. Our property insurance services are available for commercial as well as residential properties.